Friday, 23 November-Today: Microsoft has revealed the Microsoft Innovation Centre, also called as MIC, at the Arfa Software Technology Park in the capital city of Islamabad. 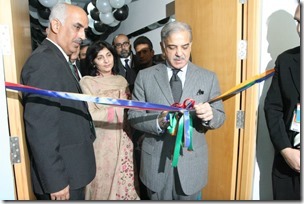 According to Microsoft the enterprise of MIC in Lahore was established in affiliation with the Government of Punjab. Microsoft Innovation Centers are all created on high-tech and convenient facilities to promote inventive research footed on scientific growth and offer new software resolutions to overabundance of government, educational and trade stakeholders. 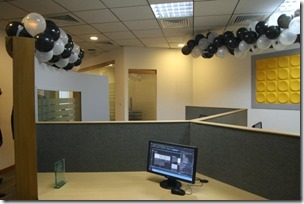 Internationally, more than hundred such kind of amenities are accessible to IT and other non-IT related employees to increase their aptitudes and later show them on a global podium. Innovators, scholars, capitalists, service providers, educational researchers, technology fanatics can join the MIC established at Lahore and can initiate using the up to date services, gadgets and tools offered by Microsoft. After this step has been taken, various plans will be implemented to present advancements and evolution of varied fragments of information footed economy. The main focus to initiate the Skills Improvement Program it will help to augment the rational ability and boost the IT proficiencies of public through scientific and trade courses for all the ICT businesses and companies in Pakistan. 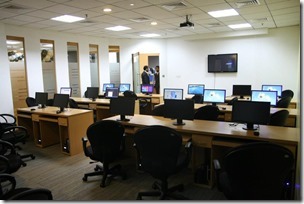 General Manager Sayed Hashish, for Microsoft center at North Africa, center at the Eastern Mediterranean and center at Pakistan, has asserted that their partnership with the Government of Punjab will now make availability of contacts with other world’s top notch facilities and resources for IT related software developers and programmers, scholars, educational personnel and industrialist all across Pakistan. The affiliation will hasten the focusing process by facilitating a winning situation. It will join natives and various associations in the newly developed ecosystem. The MIC will further offer courses that are related with latest IT information and are based on Microsoft guidelines and cultivate the national and other international IT industry coalitions which hold up the software industry.